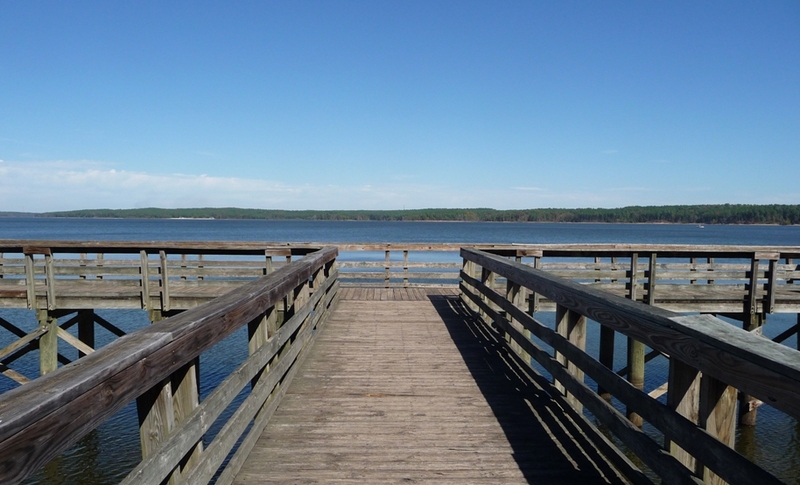 This pier sits exactly 57 paces from our wonderful campsite in North Carolina’s Falls Lake State Park. Now that the weekend campers are gone, we seem to have the entire park, and this gorgeous lake, to ourselves. It’s quiet, beautiful, and relaxing. I’m not sure what it was about Richmond, but both Shannon & I felt unusually lazy there, almost like the city sapped our strength. But here, I feel more like I did back at the start of our trip. For some reason this spot reminds me of why we set out in the first place. Yeah.